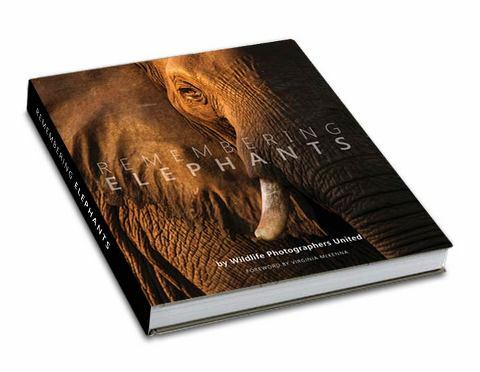 Remembering Elephants was the first book in the series created after our founder, British wildlife photographer Margot Raggett, saw a poached elephant in Northern Kenya. Margot approached fellow wildlife photographers to ask if they’d be interested in contributing to a fundraising book. The rest, is history. Thanks to a successful Kickstarter campaign the books were pre-funded and their sale eventually went on to raise more than £135,000, all of which went to projects protecting elephants in Africa via The Born Free Foundation. Billy Dodson, Morkel Erasmus, Shem Compion, Isak Pretorius, Federico Veronesi, Austin Thomas, Anja Denker, David Lloyd, Andy Rouse, Sarah/Andy Skinner, Albie Venter, Will Burrard-Lucas, Marius Coetzee, Ross Couper, Elliot Neep, Greg du Toit, Art Wolfe, Paul Goldstein, Peter Delaney, Marsel van Oosten, Richard Peters, Mark Dumbleton, Brendon Jennings, Michel Denis-Huot, Theo Allofs, Marina Cano, Melissa Groo, Victoria Stone/Mark Deeble, Michael Poliza, Keith Connelly, Todd Gustafson, Alwyn Coates, George Logan, Daryl Balfour, Martyn Colbeck, Johan Marais, David Cayless, Frans Lanting, Jonathan/Angela Scott, Steve/Ann Toon, Marlon du Toit, James Warwick, Jan van der Greef, Richard Packwood, Thomas Mangelsen, Ben Osborne, Tony Heald, Jabruson, Joel Sartore, Margot Raggett, Chris Packham, Mark Carwardine, Brent Stirton, Kyle de Nobrega, Chris Schmid, Denise Eriksson, Kaziras, Shareen Nash, Heinrich Neumeyer, Andrew Aveley, William Steel, Friedrich von Hörsten, Giorgio Bighi and R.J. Walter. Slideshow music with kind permission of Peter Gabriel. The first and second editions of Remembering Elephants have now sold out but we are pleased to confirm a third edition which is now available.